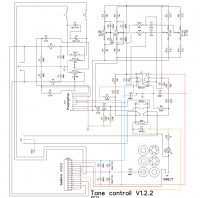 Tone control board is integrated with VOLUME potentiometer and DIRECT bypass relay. 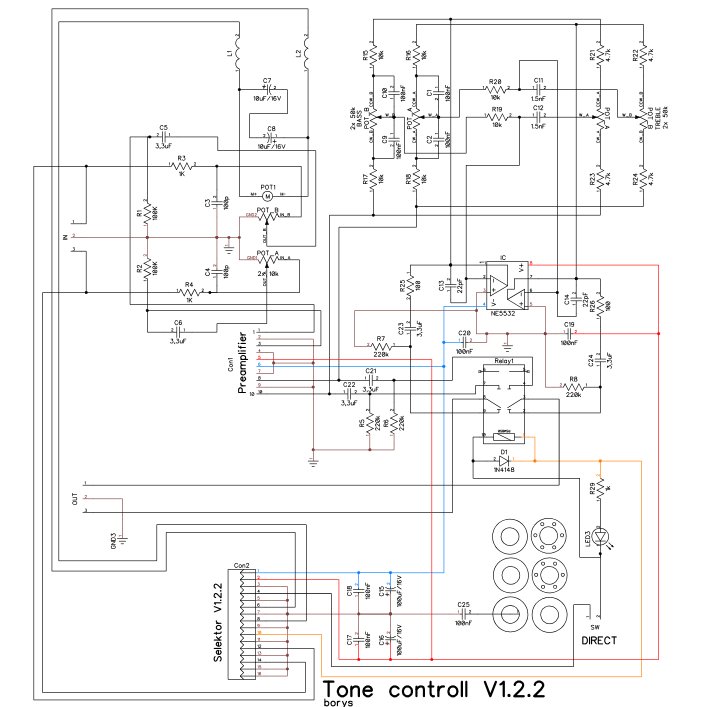 On the PCB board there are DC blocking capacitors for tone control output and for the preamplifier output so there is no ''thumb'' or ''pop'' noise when DIRECT relay is switched ON or OFF. 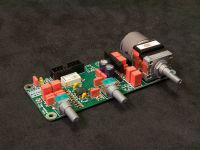 If DC blocking capacitors are soldered on tone control PCB there is no need to solder any other DC blocking capacitors on IPS boards.